Munchery is reinventing the weeknight dinner, and making it ridiculously easy to put a delicious, high-quality meal on the table in just a few minutes – no cooking skills needed. 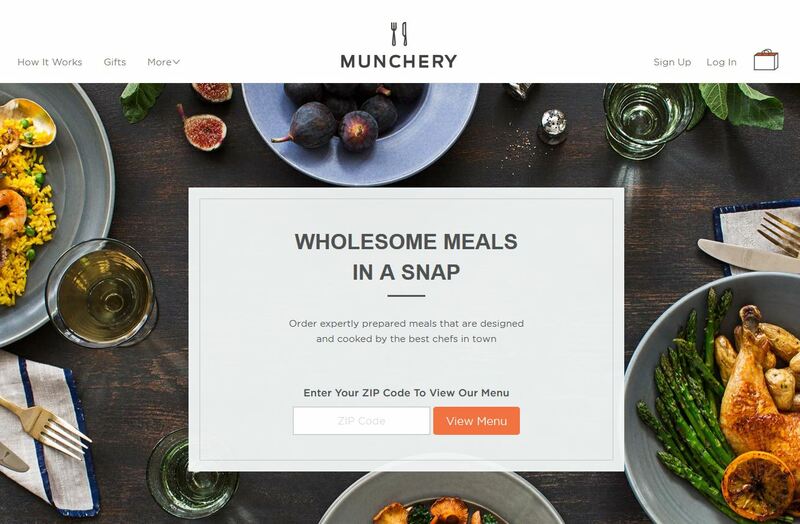 Order wholesome prepared dinners, handmade by top local chefs using only the highest-quality ingredients, delivered to your home or office each weeknight. With just a tap of a button, get dinner delivered on-demand or schedule it to arrive in a guaranteed 1-hour window. With new menus each weekday, you’ll discover fresh options for dinner every night, including options for all kinds of eaters, like vegetarian, kids, low-carb, wheat-free and more. All made fresh from scratch each day by the best chefs in town. Order from diverse daily menus, with options for all kinds of eaters, and get it delivered that night. Get your dinner delivered with a tap of a button. Or you can schedule delivery to your home or office anytime. Crafted from scratch each day, so you can relax and leave the cooking to the pros. Your better dinners start with the best ingredients — local, organic & sustainable whenever possible.